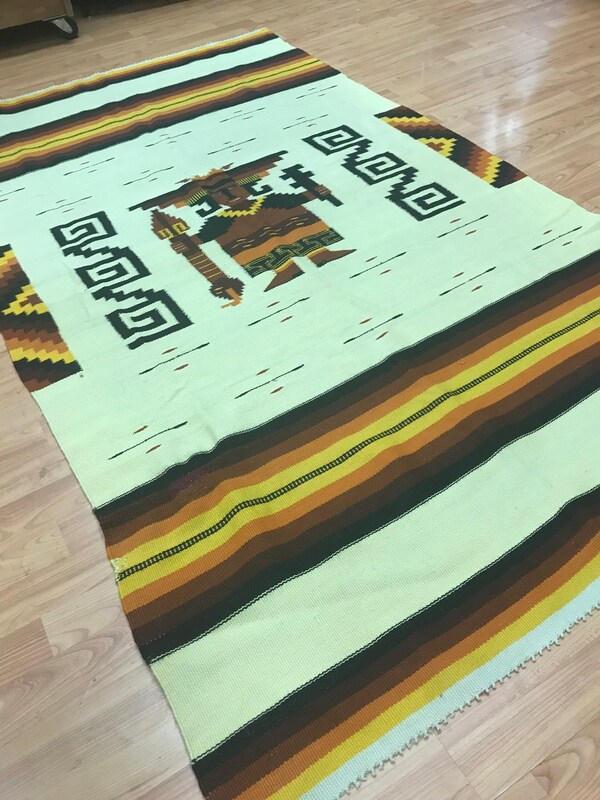 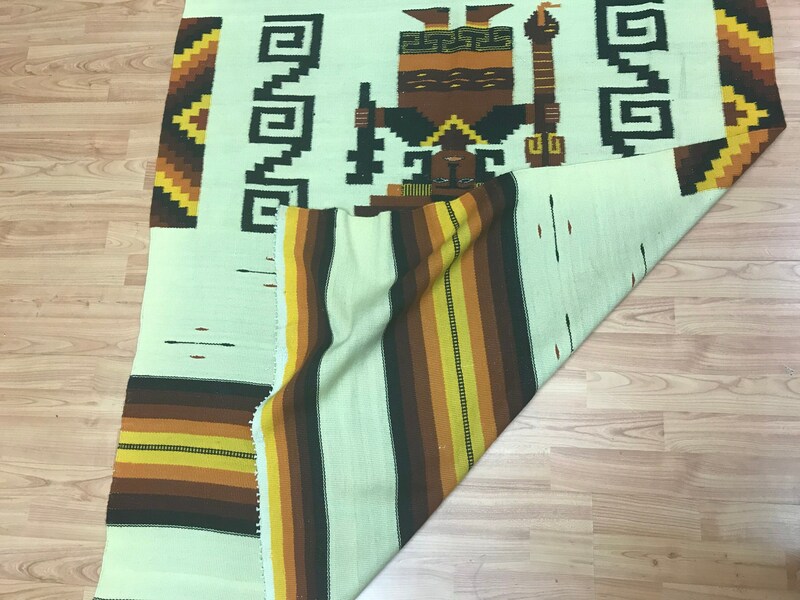 Actual Size: 3'6" x 6'3"
This beautiful rug is a 3'6" x 6'3" Native American Navajo blanket. 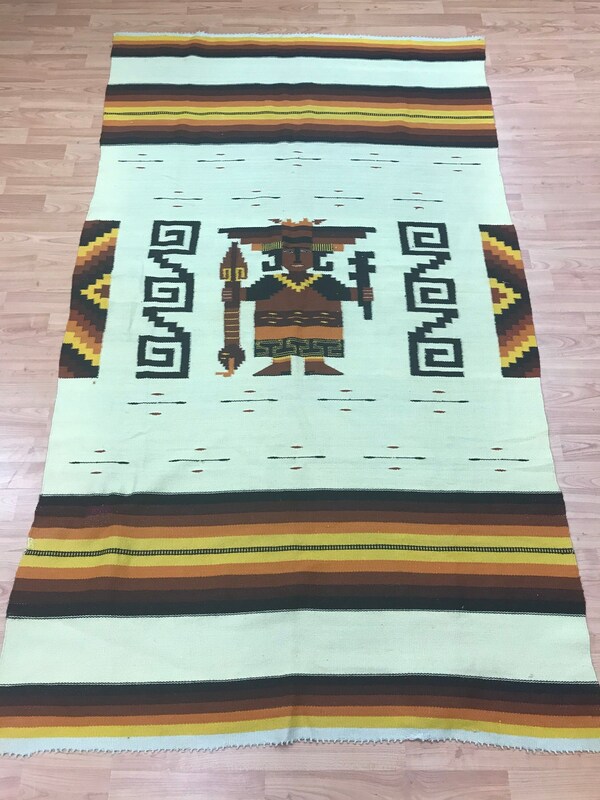 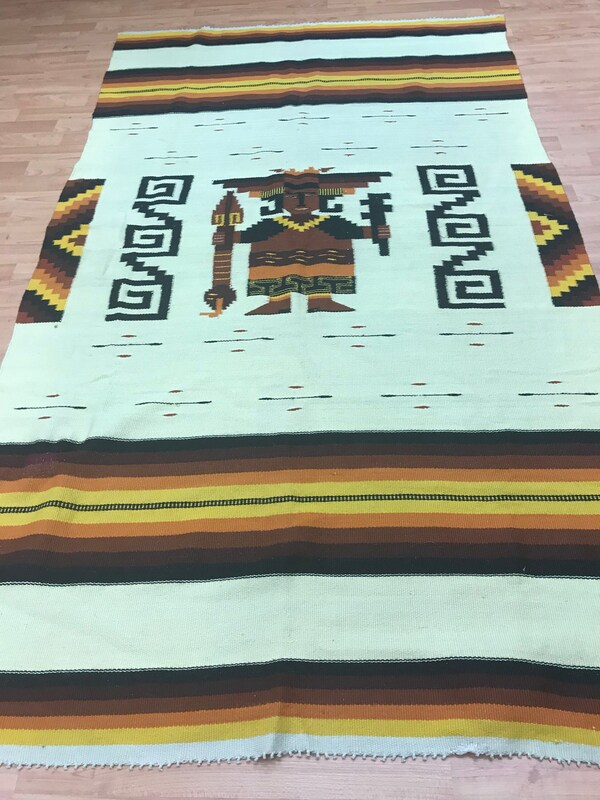 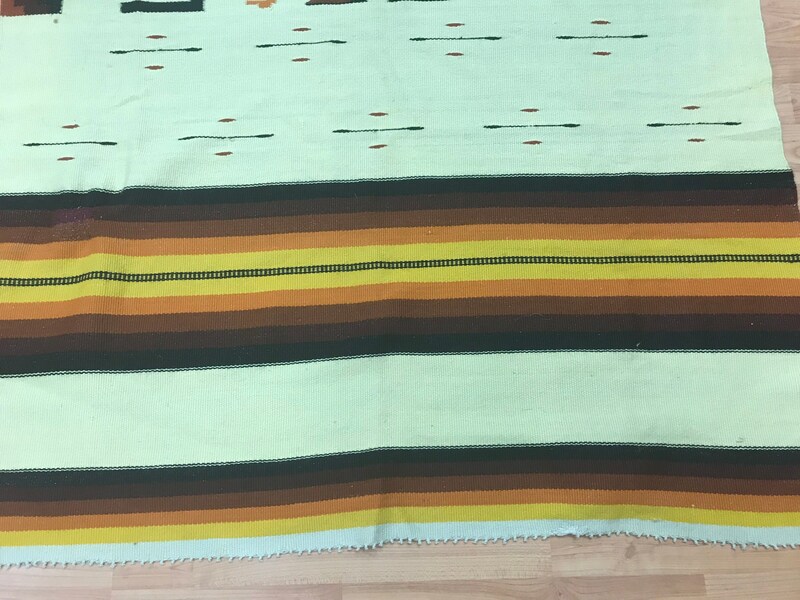 This hand made Navajo is made with 100% wool and is in good condition. 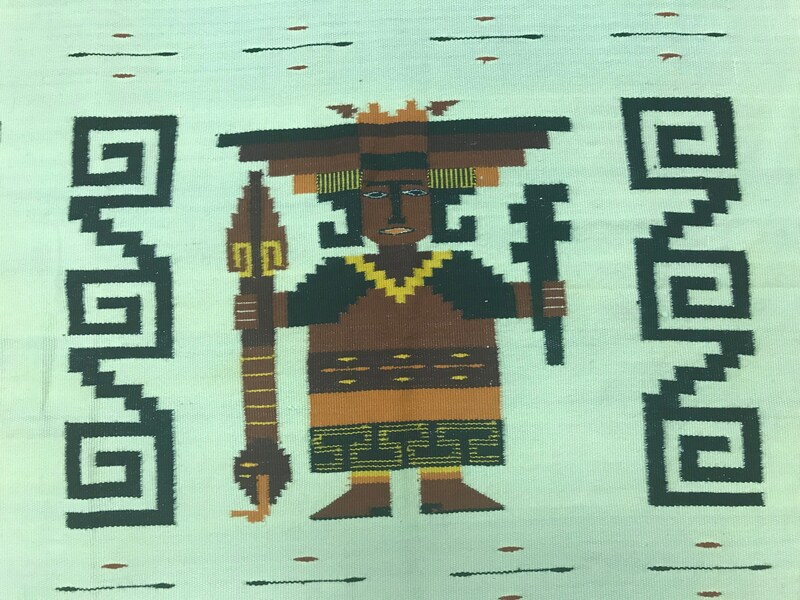 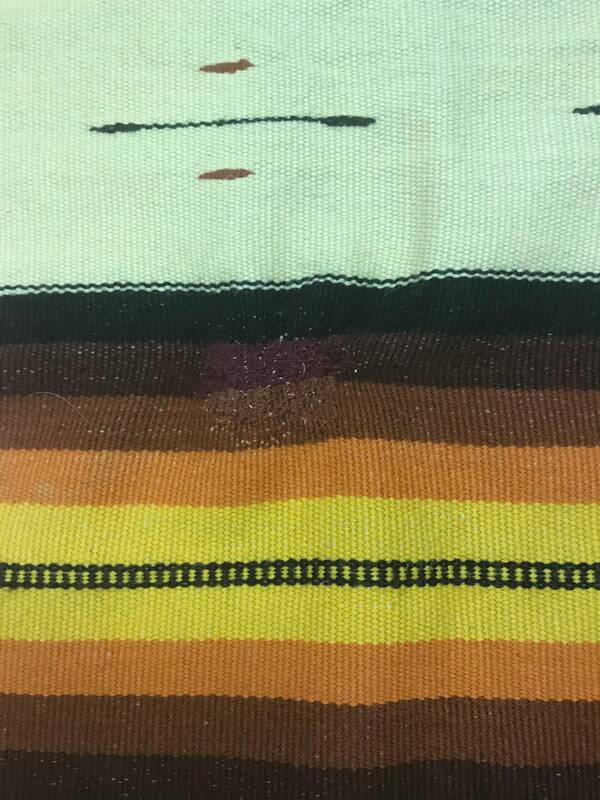 This rug has had a small repair done to it, as can be seen in the pictures.